The comfort and safety of your home is our number one priority! The comfort and safety of your home is our number one priority, so we’ve compiled a handy checklist of five ways to stay gas safe. Make sure all your gas appliances are serviced and safety checked every year. If you rent your home, make sure you receive a copy of your landlord’s Gas Safety certificate. Be vigilant and look out for warning signs that your gas appliances aren’t working properly. Common indications include flame burning yellow instead of blue, flame burning erratically or low, black soot marks on or around the appliance, an accumulation of condensation in the room. Ensure that any purpose provided ventilation is clear and free of obstruction. Many gas appliances need ventilation to function safely and correctly. Fit an audible carbon monoxide alarm and follow the manufacturer’s instructions on usage and placement. Familiarise yourself with the symptoms of carbon monoxide poisoning; headaches, dizziness, breathlessness, nausea, collapse and loss of consciousness. If you suspect an issue, vacate the building immediately. Only ever use a professional Gas Safe registered engineer to service, repair or install your appliances. To check if your engineer is on the official Gas Safe Register, go to www.gassaferegister.co.uk. On arrival, your gas engineer should present you with their Gas Safe Register ID card. Check both sides of this card to confirm they are fully qualified for the job. 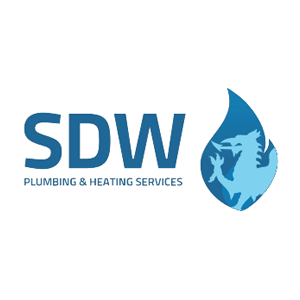 SDW Plumbing & Heating Services are a fully qualified, family run business and we’re always happy to help. Contact us today on 07795 681275 or 01792 547018.